AURAL DEVASTATION is a regular column about heavy music. 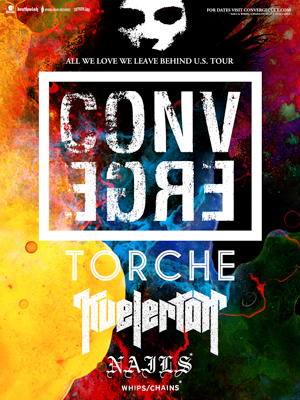 Today, Converge reasserts their importance, and Pig Destroyer get covertly political, arguably. 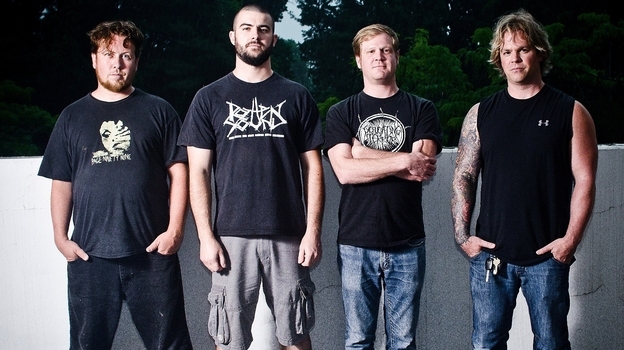 Few bands have remained as relevant and impossible to duplicate as the Massachusetts based metalcore kings Converge. Ignoring the insane impact that each member of the band has had in all aspects of the music industry — from record label owning and producing to cover designing and playing in every band possible — it isn’t a very far stretch to call Converge one of the more important heavy bands to exist in the past 20 years. All We Love We Leave is the perfect example of Converge’s ability to develop something new while still maintaining the familiarity of the whole assault of sound. See full post for tour dates. Sometimes music has no place in politics. But when politicians threaten to cut funding to public broadcasting, why then we just need to rebel. Because without NPR, we wouldn’t have a full stream of Pig Destroyer’s fantastic new album Book Burner due out on Oct.ober 23. Courtesy of NPR’s First Listen, you can go listen to the delightfully violent tales the grindcore band creates. In some editions, Book Burner comes with a short story by Hayes called The Atheist. To sum up it briefly, in a not-too-distant Fahrenheit 451/Mad Max future, a heavy-handed Christian theocracy burns libraries to the ground and crucifies heretics. The story is gruesome, but also darkly comic — much like Hayes’ lyrics. While the “book burners” provide the album and song title, Hayes says the themes don’t cross over, but it’s hard not to draw more politically charged lines between the two. Sure, the stark, dangerous narratives still paint more in a minute than most do in an entire album or novel. (The closing line to “Baltimore Strangler” is particularly chilling: “I just wanted to hold her like an anaconda.”) But Book Burner seems like an internal struggle for Hayes: an attempt to make sense of the ugly chaos that inspires unsound logic.